In a natural disaster or other emergency, one of the first things you’re likely to reach for is your cellphone. Landlines are disappearing. More than 30 percent of American households now rely exclusively on cellphones. Despite that, cell carriers have successfully pushed back against rules on what they have to do in a disaster. The carriers instead insist that emergency standards should be voluntary, an approach the Federal Communications Commission has gone along with. After Hurricane Katrina, for instance, carriers successfully opposed a federal rule that would have required them to have 24-hours of backup power on cell towers. In another instance, an FCC program to track crucial information during an emergency – such as which areas are down and the status of efforts to bring the network back – remains entirely voluntary. Nor is the information collected made public. 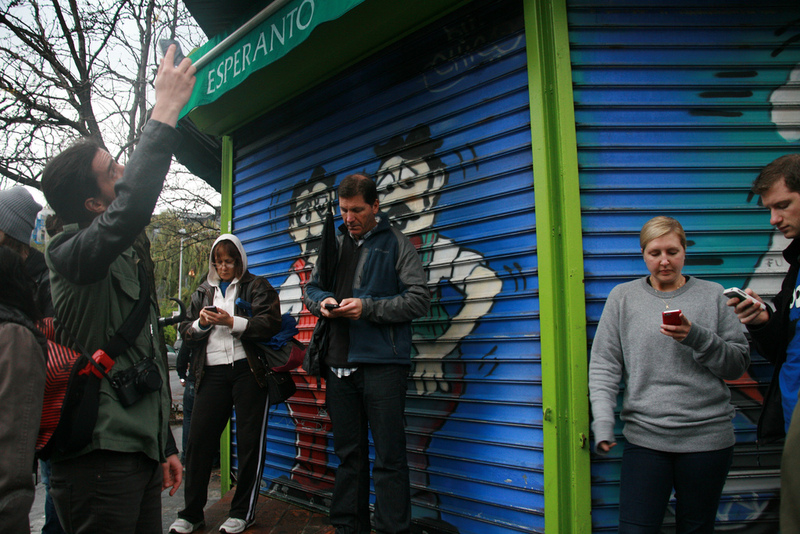 After Sandy, when thousands roamed the streets looking for service, many had no idea where they could get a signal. AT&T and Sprint, among the major carriers, didn’t initially release details on what portion of their network was down. The emergency issue has been part of a trend in deregulation of the telecommunications industry. Since 2010, more than 20 states have passed laws limiting their regulation of telecoms. An FCC spokesperson declined to comment on emergency planning issues beyond pointing to field hearings announced last week, to study the response by networks to Hurricane Sandy and other recent disasters. Katrina also generated concern over emergency communications plans, but did not lead to binding rules. Instead, the FCC advised that the industry work with them to create emergency preparations checklists – voluntary best practices, rather than requirements. The FCC’s voluntary Disaster Information Reporting System was also created in the wake of Katrina. The agency does not say which carriers are participating in the system, and says it can’t release the data that is reported because it is considered “sensitive, for national security and/or commercial reasons.” The FCC also hasn’t determined to what extent it can share information with state and local governments. Another instance where a voluntary initiative met pushback from carriers is a new system of Wireless Emergency Alerts, beamed out from cell towers in a disaster area to anyone with a capable phone within reach. Most carriers are participating, gradually phasing in new phones with the ability to receive WEAs. But the carriers resisted recommendations that they should be able to target the alerts more precisely, and not just to county-level. First responders in Western states in particular, where counties can be enormous, would like the ability to issue more local warnings, according to Art Botterell and Lorin Bristow, both emergency planning experts. Botterell also noted that cities could benefit from the ability to blast messages to a radius of just a few blocks, citing New York City’s 2007 steam pipe explosion. “Worrying about lighting up the whole county creates a disincentive to use it at all,” says Botterell. Carriers have long argued along these lines – that disasters each present unique scenarios and that companies need to stay flexible as technologies change. The carriers say it is in their best interest to keep networks running, and point to the quick deployment of portable towers after Sandy and examples like AT&T and T-Mobile allowing customers to roam between networks. PreviousHas Recycling Lived Up to Its Promises?